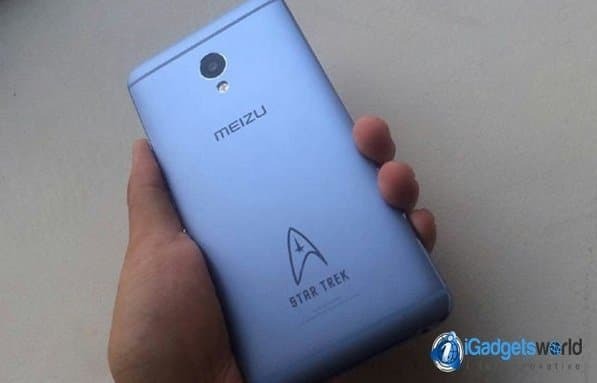 Exciting news for the Star Trek fans, a limited edition of the Meizu M3E was announced a couple days ago and it will be featuring a fantastic Star Trek Theme. We’ve seen recently many others manufacturers promoting their devices with this appealing strategy, such as the Samsung Galaxy with a theme of the Avengers & Iron Man and now Meizu is doing the same, but this time with a Star Trek theme. Let’s have more insights on Meizu M3E Star Trek Limited Edition. 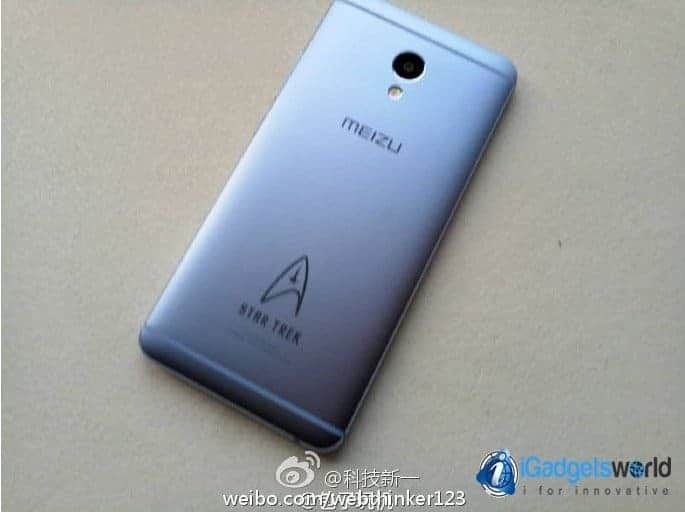 This upcoming Meizu M3E Star Trek Limited Edition features the Starfleet insignia on its rear case and a Star Trek themed UI that resembles the technology used in our favorite fictional universe. In a nutshell, this Meizu M3E Star Trek Limited Edition will be released only in China on September 2nd, is priced at $225 USD dollars and it will be featuring the same specs of the original M3e but with an intergalactic design that Star Trek fans will love. However, the changes are mostly aesthetical, the Meizu M3E Star Trek Limited Edition shares the same hardware of the Meizu M3E. 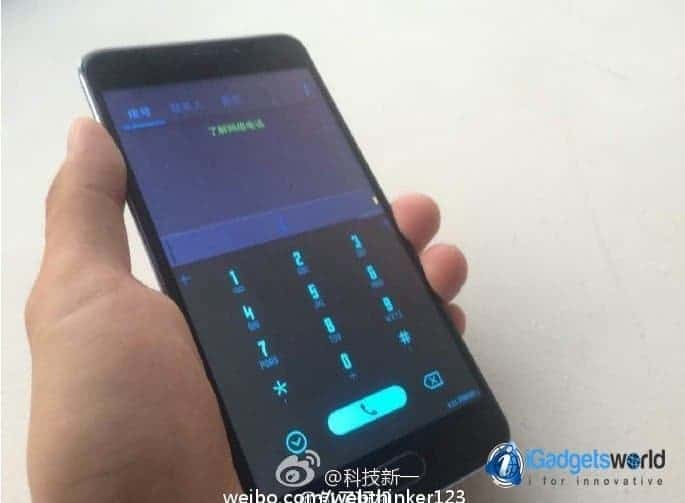 This is a mid-end smartphone that was released recently in October of 2016 and features a MediaTek MT6755 Helio SoC (system on a chip), in which lies a powerful Octa-Core CPU and a Mali-T860MP2 GPU. The M3E offers a 5.5-inch display that supports a 1080 x 1920 pixels resolution (1080p FullHD) with a pixel density of 403 ppi. The system comes with 3GB of RAM and 32GB of ROM for internal storage. The Meizu M3E is equipped with dual cameras, one on the rear (13MP) and one on the front (5MP). This smartphone runs on Android 5.1 lollipop and supports Wi-Fi on dual-bands and Bluetooth 4.1. It also features a fingerprint scanner to keep the device safe from the Klingon. 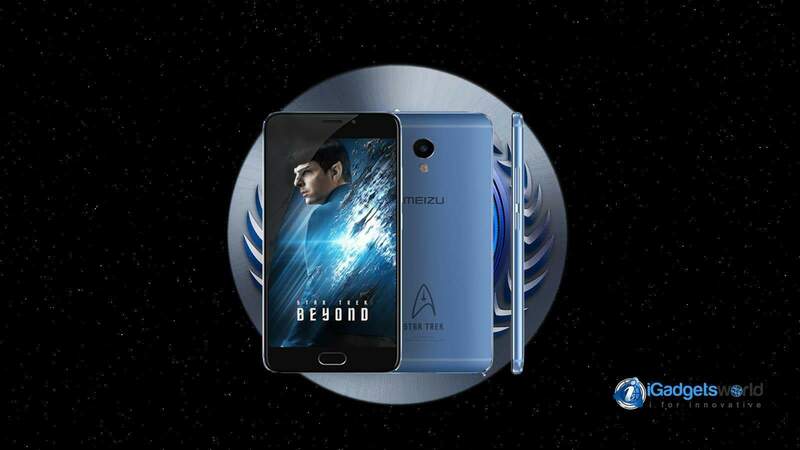 The Meizu M3E Star Trek Limited Edition will be released on September 2nd in China, which is exactly the same day of the release of Star Trek: Beyond in that Country. For the time being, this limited edition is exclusively for China and is meant to celebrate the 50th anniversary of the well-known franchise, a franchise that has been revitalized by the new movie Star Trek: Beyond and the announcement of a brand new Tv series that goes by the name of Star Trek: Discovery. This Edition could be a little bit too hard to get outside China, but it should be possible through an importer. However, there will be only 5,000 units available and they will be sold out very quickly. This Star Trek edition is said to be priced around 1500 Yuan, the equivalent is about $225 dollars, which is almost the price of a regular MEIZU M3e. What would you do to get it? Let us know in the comments below and follows us on Facebook to be updated on the latest news regarding the Meizu M3E Star Trek Limited Edition and other technological stuff that you may like. Next articleReliance Jio Officially Launched – Everything You need to know!